About four years(!) ago, I wrote a couple of posts about a One Page Adventure format for running non-dungeon oriented games, specifically focusing on how to convert an existing adventure to the OPA format. WELL! I finally got around to testing my theory, and ran a 5e D&D conversion of XP2: Song of the Beast Gods for some friends in Seattle. 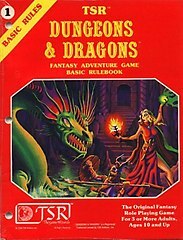 Just in case the contents of a three year old series of blog posts on an obscure OSR blog aren’t fresh in your mind, here are part 1 and part 2. The basic gist of the One Page Adventure is: rather than run a tightly (or not so tightly) plotted adventure with certain assumptions about player interest and/or behavior–recast the adventure as a set of NPCs with opposing goals, give each NPC a set of assets (other NPCs, weapons, gold, etc) and let them pursue their goals to the best of their ability. Then focus on presenting the players with an interesting Situation that can play out regardless of how they decide to get involved. In the case of XP2, the original setup for the adventure is that an imposter has assumed the identity of the local princess, imprisoned said princess, and intends to conduct a ritual to transform her and the rest of her city into beastmen. The hook for the adventure is a handmaiden to the real princess that appeals to the PCs for help. Since the people I play with don’t tend toward Good Samaritan behavior, I hoped the OPA format would give the adventure a bit more legs, especially if they didn’t suddenly decide to rescue random handmaidens. I used the same basic setup from three years ago: the Evil Princess on one side, the Acolytes of the local temple opposing her, and a neutral General of the army looking to play both sides. We played a single session, and honestly… the OPA format worked even better than I expected. Why? No worrying about the plot. Or preparing contingencies for keeping the adventure “on track”. Or figuring out how to set up the climactic encounter(s). Or how to interest the players in visiting my important locations. In short, no force. This freed me up to work on things like: cool locations, interesting creatures, cool uses for spells, exotic intoxicants, weird NPC quirks, downloading inspirational artwork to help visualize the adventure, etc. Much less player confusion. Because all I had to do was concentrate on what the NPC goals were, the players had a much, much clearer grasp of what was going on, only a few minutes into the adventure. Zero flailing around looking for the adventure. As soon as they entered the city, the three factions immediately arranged to meet with them, suss them out as a threat, attempt to win them over (or at least win their neutrality), etc. Logical NPC behavior. Because there was no “story”, I never had to guess what an NPC would do in any situation. All I had to do is decide how the NPC perceived the PCs’ actions, and react accordingly. No putting up with rude PCs. Every DM has had a player mouth off to a local power broker, but been unable to react appropriately, because the adventure requires the players to be allied with him. It also allowed me to treat PCs according to their perceived social status. Two of the characters were rich, charismatic strangers bearing gifts, and they got treated like important people. The other two characters were grubby looking adventurers, so they got treated like hired help or low-born dogs! Rewarding player skill. The few fights (or near fights) arose organically from the actions of the players. This meant that when they screwed up, they got punished for it (attacking the Evil Princess on her Pleasure Barge, for example). And when they were daring or careful, they prevailed (using stealth and speed to leave the city before the alarm was raised, allowing them to crush the gate guards). We started with the PCs traveling with a caravan across a desert, low on water and tempers fraying, so the caravan master called a halt near the ruins of a temple to rest and decide whether to turn back or continue. He asked the players to check out the ruins to make sure there were no bandits or other nefarious people lurking about, and they were hailed by the Evil Princess’ Thief servant, a barefoot, scruffy character peddling the veiled handmaiden as a slave. The players were relatively uninterested in the handmaiden, even after the Thief tore her veil off and revealed that she was quite beautiful, if exhausted from the privation of being imprisoned for several days without food or water. One player took offense at the Thief’s general demeanor and treatment of the haidmaiden, but held off murdering him long enough for the Handmaiden to appeal to an Elf PC for help (she was half-elven) and briefly outline her plight. The players observed a huge eagle perched on the ruined columns of the temple and were correctly suspicious (it was keeping an eye on the Thief to make sure he carried out the handmaiden’s punishment). They bargained the Thief to 150gp for the handmaiden, and the Elf used an illusion to make 50gp appear to be the correct amount. Then they rested and broke the news to the Handmaiden: they planned to go back to her city and see how they could profit from her information about the imposter Evil Princess. The next day they parted from the caravan, talked their way into the city, met with the General (bearing gifts). He told them his desire was for stability, so he required that they did not stir up trouble in the city. He also briefly described the power struggle between the two factions as “an argument between priests” and promised to get them an audience at the palace. As they entered the city, the High Priest of the Good God’s funeral procession went by–it seems he was tragically bitten by a poisonous snake. They also noticed the temple to the Good God was closed and appeared to have been the victim of mob violence, something about a sermon critical of the Princess’ new faith in an old Goddess known as the Mother with a Thousand Children, the Moon Mother or the Beast Mother, depending on who you talk to. They met the King at the palace in the afternoon, were offered the use of a private villa by a functionary (Evil Princess’ asset) and invited to a party she was giving the following evening on her pleasure barge. Helpful servants (i.e. cultists) at the villa gave the PCs information about where various intoxicants and other necessities could be found in the city. That night, the dwarf PC snuck into the precincts of the closed temple and narrowly escaped being killed by a panther. He was able to determine that the temple treasury was locked. The next day was uneventful, and that night the party henchman, a fighter, stayed at the villa to keep the handmaiden from being discovered, while the Elf joined the party underway on the barge in the middle of a lake in the middle of the royal park (where he was warned not to enter unescorted). The party Halfling swam to the barge to keep an eye on things from the shadows. The Elf didn’t trust her, so he drew a dagger and attempted to kill her, hoping that a single blow would end her life and expose her true shape–but the Princess was faster. She grabbed his wrist in a surprisingly strong grip, and he retaliated with Shocking Grasp before her guards could react. The Princess screamed in agony, but was not killed, so the Elf quickly Levitated into the night sky, turning Invisible before the guards could mount an attack (or any eagles in the vicinity). The Halfing swam for shore, and they met on the street near the villa with the Dwarf, where they decided it was time to leave the city. On their way out, they stopped at the temple to see if they could break into the treasury. There was no sign of the panther, so the Dwarf made quick work with his lockpicks and they discovered 21 chests of 1,000 gold pieces and other valuables. The Dwarf was dispatched back to the Villa to retrieve their mounts and they beat a hasty retreat to the city gate. Luckily, the Princess had not managed to mobilize her assets to stop them, so they made short work of the soldiers on duty and fled into the desert, richer than their wildest imaginations… and shockingly short on water and supplies. The one thing I would do more/better next time is keeping the pressure on. Since the action only happens in response to NPC and PC activity, it’s important that the NPCs are always active. For example, the General was too passive–after the players convinced him to let them move freely around the city, he didn’t do anything. I would have him reach out to them immediately to perform some service related to the Situation. In addition, I waited until the Evil Princess had talked to the Elf before having the Good Acolytes appeal to them for help. I should have had them send one of their assets to contact the party as soon as they finished their audience with the King. Basically, you want the players have all their options laid out to them as soon as possible, so they can make a definitive choice and you can start moving their enemies against them. It worked amazingly well. As I predicted, they didn’t care about the handmaiden’s problems, all they cared about was how they could benefit. If they had killed the Thief and moved on, that would have been fine with me. The Evil Princess would have marked them as enemies, and dealt with them after she finished consolidating her power in the city (I also had a dungeon beneath the ruined temple handy). Had they allied with the Princess, I had a game plan. Had they allied with anyone, I had a game plan. If they did the unexpected, like attacking the Princess in the middle of her pleasure barge and then fleeing, that was no problem either. You can be damn sure the Princess is going to be furious when she finds out that they absconded with the treasure she was planning to steal from the Good God temple, once the Acolytes were out of the way. She is going to pull out all the stops to try to get that gold back. Nice! The NPC/asset approach seems very promising. This is so great! I’ve been running a campaign that started with a similar approach: we played Micriscope to flesh out the game world, then I mapped out a city and wrote up the major NPC denizens and factions, giving them motivations and assets. The PCs created their own hooks (i.e., one was searching for his lost sister), and the situations evolves from there. It’s been among the most rewarding RPG experiences I can recall. I totally agree about the need to “keep the pressure on.” Maybe each faction/NPC needs a countdown list of events/actions that you can trigger whenever there’s a lull in the action, or to help you keep track of what they’re up to behind the scenes.